We’ll be playing our last show of 2018 at The Hope and Ruin, Brighton on December 7th. We’re chuffed to have Little Barrie bassman Lewis Wharton on on the decks, alongside a support slot from Liverpool’s finest, Little Triggers. Get your tickets here. We've had a number of stunning reviews, including this from Shindig! who - among others - are placing That Was The Future in the top records of the year list. We're extremely proud to present the video for our brand new single Cuckoo Stone. 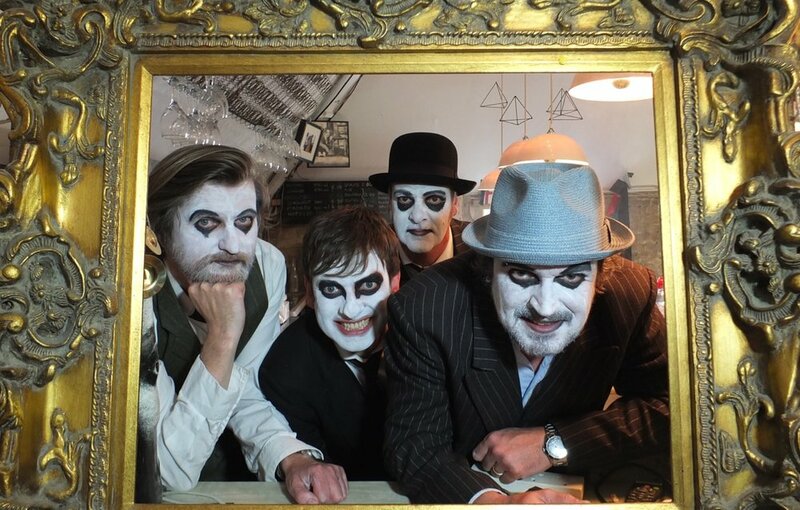 Shot in Shoreham By Sea and featuring a cast of sinister dolls, it was produced by our good friend Neil Williams and includes excerpts from the classic 1920 film The Cabinet of Dr Caligari - watch the video here! "I like that a lot...it's kind of got a Mod feel to it with a relentless riff going all the way through and this clavinet that reminds me of John Paul Jones on Trampled Underfoot. It's ace they're called The Dials from Brighton their album is called That Was The Future it's out in 13th October and that is called Cuckoo Stone which is a neolithical Bronze Age standing stone which has now fallen and it's in a field near to Woodhenge in Durrington Walls in Wiltshire apparently but really good stuff, The Dials and Cuckoo Stone"
Chuffed to say we're playing with Canada's finest at Oslo, Hackney on Friday 27 October. Tickets here. After a thoroughly civilised, creative and productive year working with the wonderful Ben Thackeray, we're now finished recording the new album. Ben, who's been working with Nick Cave, has taken an active production role helping to add texture in all sorts of wonderful ways. We’ve spent some time putting some more tunes together (about 8 new ones on the go) but we have booked in some more dates before Christmas. We’re playing Shoreham, Hoxton in London and Birmingham in a big, all-night extravaganza.